The lesson I got wasn’t something new. In fact, the concept of teaching to learn is a common one. However, as a rookie (just like everyone when I started), I didn’t know where to start? Some of you might even be asking the exact question as you read now. Hence, I thought I’ll dwell into this topic today. Meanwhile, if you feel you have any questions, just post it at the end of the article and I’ll try to address it. For now, let’s try to cover some basic grounds. Reading this website and this article now probably means that you are still looking for a solution to become a successful trader. So, if I were to make a guess (and that’s a very big guess), my assumption is that you are still searching for ideal solution. Right? Well, as I’ve highlighted in my previous post, some of us need to learn how to unlearn (see article) before you can grow. However, when we start dealing with belief systems, many people don’t know what they don’t know. That means, they only focus on unlearning things that they are aware, and they neglect things that may be more important. When the exercise doesn’t generate significant result, they then move on to something different. Can’t blame them, can I? You see, I use to tell traders to trade less (see article). Unfortunately, no sane trader would want to do less especially when they just started to trade. Of course, they forgot that they can still trade like a cowboy on the demo account. Sadly, some of them just love the thrill of it and that’s a completely different issue. Eventually, they give up on trading less and continue to find a different trading system. The truth is, we all know that the root cause of our trading issues are predominantly within ourselves – in our head, in our emotions and in our discipline – and it has little to do with the process or the frequency of trading. You see where I’m heading to right? Hence, the key idea here is to learn more about our unconscious habits and how they might be destroying our trades. And that’s why teaching others can become a useful method in this area. There are many theories of how a trader can improve and each trading coach would have different methods. I’m not here to talk about the different methods. As a transformation coach, my role is to help you find the unknown that relates to you. And in today’s article, I hope you would seriously consider teaching the next person. Because when you do so, you will have no choice but to identify all your own trading beliefs first before you can teach. Think about this, before you teach the next person, would you not have to write down a simple structure of what you want to teach? Of course do you. In fact, you need a simple plan no matter how simple your trading system is. More often than not, I’ll ask – “What is the most important lesson that the trader needs to learn today?”. As I list it out, I realise that these are the same principals that even I should live by. Because they are important lessons that I am projecting to the new trader. But the real question is… Do I live by it too? You see, as soon as you prepare your notes, read it again, and again, and again… Evaluate your ideas, beliefs and concepts over and over before you teach it. Believe me, you’ll start to surprise yourself. And this is crucial to make the leap forward. This is crucial to find the ideal solution. And this is crucial to find the unknown beliefs that you have at a sub-conscious level. Not sure? Then just give it a go. 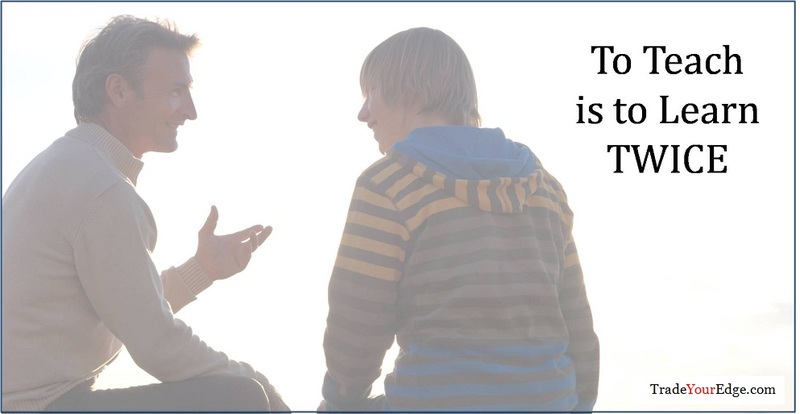 Find someone to teach and you’ll understand what I’m saying. Just so that we are clear, when you start to teach, make an effort to explain trading in the simplest way possible. 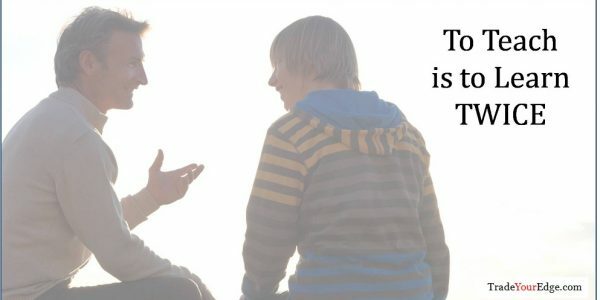 Some of you may struggle initially to explain a simple concept to your new student. When that happens, think about it the above quote from Albert Einstein. Don’t give up if it’s challenging initially, just keep trying. You see, there is so much truth in the statement above and how it can reflect on your personal trading. More importantly, as you continue to simplify your teaching, your trading will do the same. And the more you teach, the better your own trading gets. Trust me, that was part of my journey too. 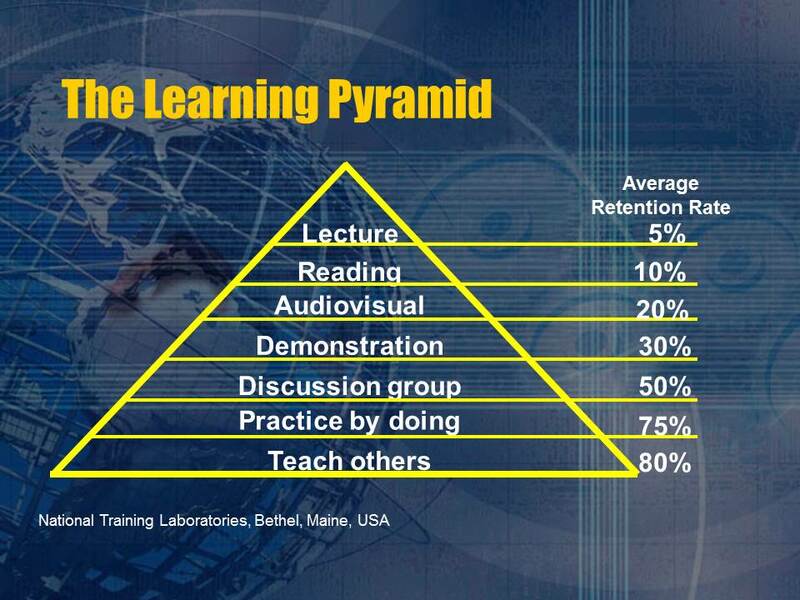 As you can see (credits to National Training Laboratories), teaching is the best way to retain your learning. This is even more effective than practise by doing. For me, I started teaching as soon as I started writing this TYE blog. I then progressed to writing books and eventually teaching friends. And that’s before I started my online school. However, don’t teach without having substance. Be very clear that you will still need a system. So go do your homework and research. If you need to, start by being a copycat trader (see article) or just start with writing instructions for yourself (see article). Either way, it doesn’t matter how you teach, just get started and you’ll eventually get there. Now, I hope the ideas were useful. If you’re still stuck and can’t think of any good ideas? Post it at the bottom and I’ll reply as soon as I can. With that, I wish you nothing but success. Enjoy teaching! Why Are Trade Reviews Important? That was a great Article Alwin, I’m teaching a family member and it is working as you said. Excellent!! It’s a magical way to develop yourself!